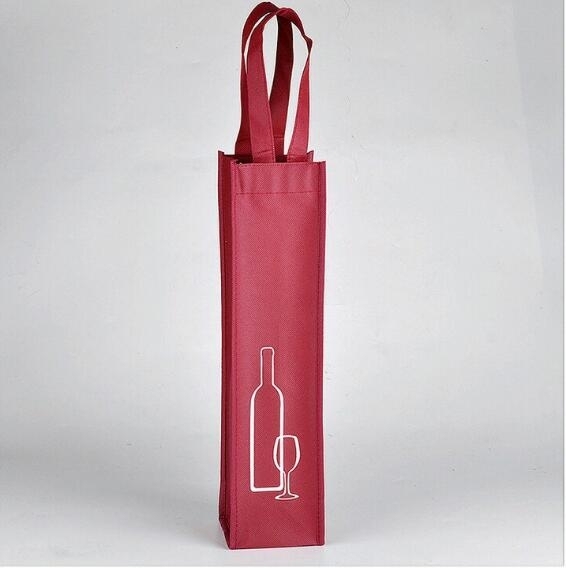 Non-woven single wine bottle bag, made from 80 GSM non-woven polypropylene material. Measures 4" x 14" x 4". Will help carry your marketing campaign to the next level! An environmentally friendly product, the single wine bottle bag offers a silkscreen imprint for your company logo or custom design. Available in multiple colors to pick from, this bag makes a great corporate gift or promotional giveaway at trade shows and conventions. Your brand is sure to get noticed!